Today’s #MysteryMonday is dedicated to #books & the last 5 books that I’ve enjoyed reading. Born To Run by @McDougallChris – A must read for all keen runners. Inspiring, educational and entertaining. The Red Tent by Anita Diamant – A beautiful love story filled with tragedy. The untold Old Testament story. The Redbreast by Jo Nesbo – Quite difficult to get into but gripping and leaves you wanting to read more Nesbo. Nemesis by Jo Nesbo – Dubbed the next Stieg Larsson, Nesbo’s storytelling is compelling, thrilling and chilling. 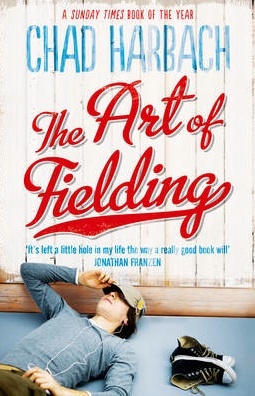 The Art of Fielding by Chad Harbach – Sunday Times Book of the Year. Charming & funny story set around baseball. 5 excellent books to bring out the bookworm in you but which will take pride of place in the bookcase as today’s #GTopSpot winner?